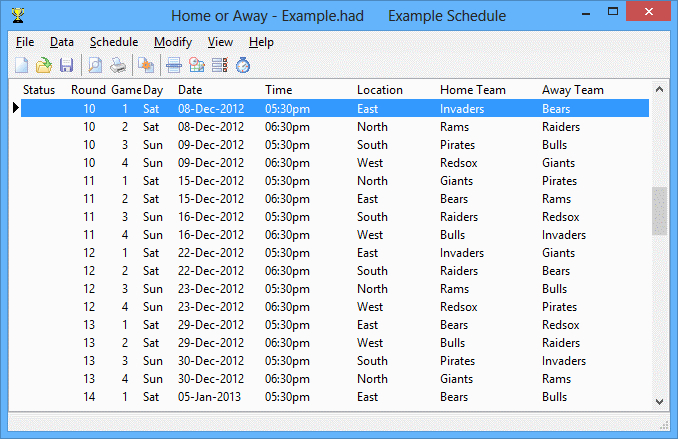 Home or Away League Scheduler 10.0 - Download Win Apps. Schedule round robin sports leagues with up to 100 teams per division. HOALS creates fair round-robin league schedules for any sporting competition, with up to 100 teams per division. Schedules are balanced with equal numbers of home and away games and fair distributions of times and locations. Dates are controlled with a flexible calendar to cater for holidays etc.